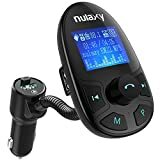 Nulaxy KM22 is the best selling FM transmitter on the market, has been consolidated by uniting quality and high technology. - Weather Scan with Alert, listen to local weather conditions and be alerted when hazardous conditions arise. 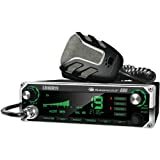 - Easily search bands commonly used for Police, Fire/EMS, Aircraft, Amateur Radio, and Marine transmissions. - Includes 500 channels in 10 Banks for scanning local public safety and other interesting frequencies. - Built-in FM radio with 30 FM presets, lets you listen to your local radio stations. - 40 CHANNEL ACCESS - Navigate the complete range of 40 channels for full coverage of CB stations. 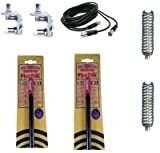 - Ultra-Compact for Easy Mounting - 4 x 4 x 1"
- * Eliminate Stray RF from Amateur & CB Radio Antenna Feedlines. - * 1:1 , 50 Ohms; Accepts Coax cables with PL-259 Connectors. - * Helps Reduce Interference & TVI. - * For 1.8-30Mhz HF uses. 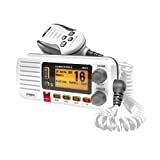 Kenwood TM-D710G Dual-Band Amateur Radio Mobile Transceiver with APRS/TNC GPS/Echolink Ready with Built -in GPS. Other Features include 50 Watts Ouput Power, True Dual -Band Operation, Wide Band Receiver and much more. - True dual-band operation radio so VHF+VHF/VHF+UHF/UHF+UHF operation is possible. - Includes microphone & power cable. Requires 12-13.8Vdc @ 22 Amps minimum for power. Requires Optional suitable antenna(s). - Transmits The Amateur Ham Radio Bands 160 thru 2 meters, plus 70cm UHF too! - Built-In Digital signal processing, 200 memories, spectrum display, ctcss (PL). 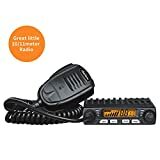 Yaesu Ft-8900R Quad Band Hi Power FM Amateur Ham Radio Transceiver 2M / 6M/ 10M / 70cm! QuadBand Amateur Ham Radio FM Mobile Transceiver. 10 Meter, 6 Meter, 2 Meter & 70cm Transmit. Full Cross Band Repeat, Remoteable Faceplate, & Full Duplex operation. Requires Optional suitable Antenna(s), & Hookup to 12-14Vdc at least 12 Amps. - Receives (less cellular) 28-29.7, 50-54, 108-180, 320-480 and 700-985 MHz, Transmits 28-29.70Mhz, 50-54Mhx, 144-148Mhz, 430-450Mhz. - Transmits 50 watts on 10, 6 and 2M, & 35 watts on 440 MHz, With Selectable Lower Output Settings..
- Backlit Keypad mic, 800 mem Channels, Live Dual Displays, ctcss/dcs (PL & DPL). - Features Cross Band Repeater mode, 1200/9600 bps Packet Jack, AlphaNumeric Display, V/V, U/U, V/U. 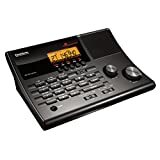 - Includes Backlit Direct Entry Keypad mic, double fused power cord & mounting bracket. Requires 12-14Vdc @ 12A. - Output power of 50W VHF & 45W UHF, with lower 20/10/5W power settings. - Mobile Amateur Radio Transmits 144-148Mhz & 430-450Mhz, Receives 108-520Mhz, 700-999Mhz. - 1000 memory channels with AlphaNumeric Display, ctcss/dcs (PL/DPL). - Built-in speaker. 1200/9600 bps Packet Jack. - FM-USB-LSB-AM-CW, 100 Watts of Transmit output on 6-160M Amateur Radio. - Fast 400 MHz IF DSP (Digital Signal Processing) technology. 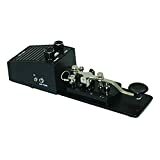 - Receives 30Khz to 54Mhz continious including All Shortwave & AM broadcast. - Built-In Automatic Antenna tuner, ctcss, 500 & 300 Hz CW Filters.